Is there going to be a talent update reveal in the next week or two? 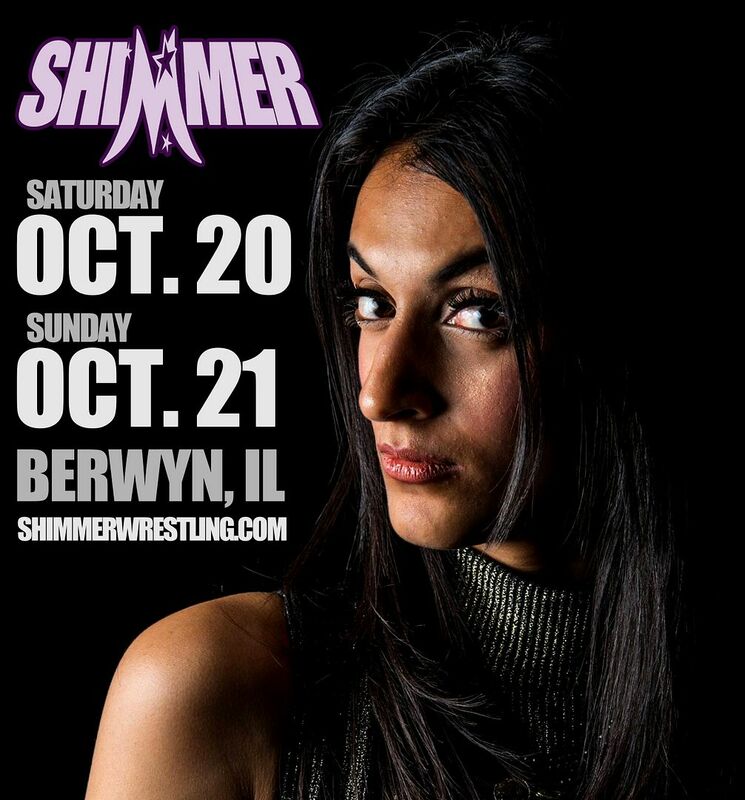 The Shimmer office posted that there will be 40 talents available on the October 2018 Shimmer weekend, so is it possible to reveal half of them? We always do it slowly during the weeks leading up to the shows, so we have continuous announcements reminding everyone that the shows are coming up. We have nearly four weeks to go. Most of the talent will have been revealed by the week of the shows. Some will remain unannounced, and be revealed when they walk through the curtain. 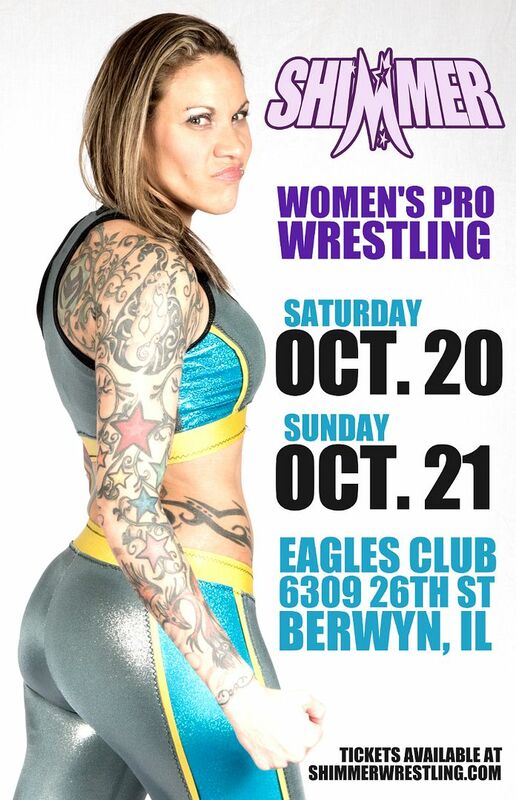 ONLY 26 RESERVED SEATS LEFT FOR 10/20 IN BERWYN! 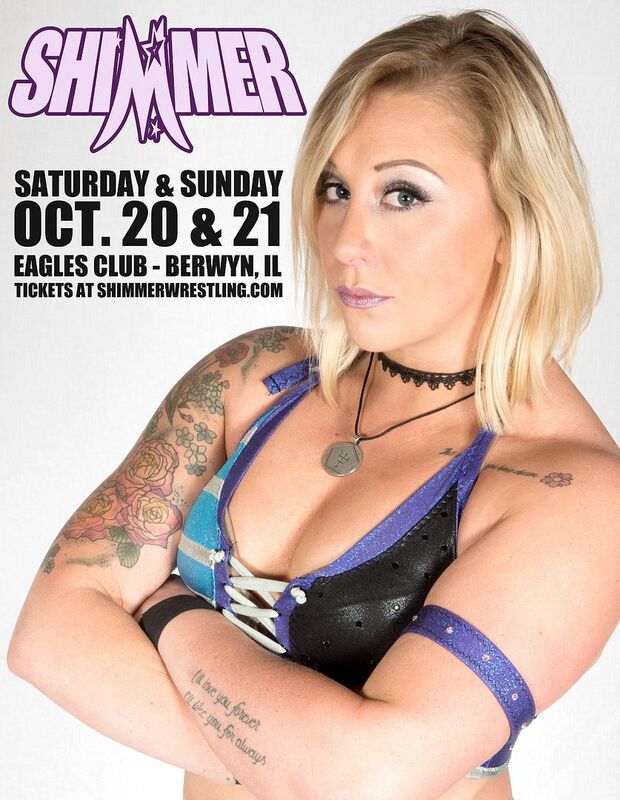 The next live events for SHIMMER Women Athletes will take place on Saturday and Sunday, October 20th and 21st, at the Berwyn Eagles Club (6309 26th Street) in Berwyn, IL! SHIMMER 105 and 106 are on Saturday, October 20th. Bell time is 2PM Central. 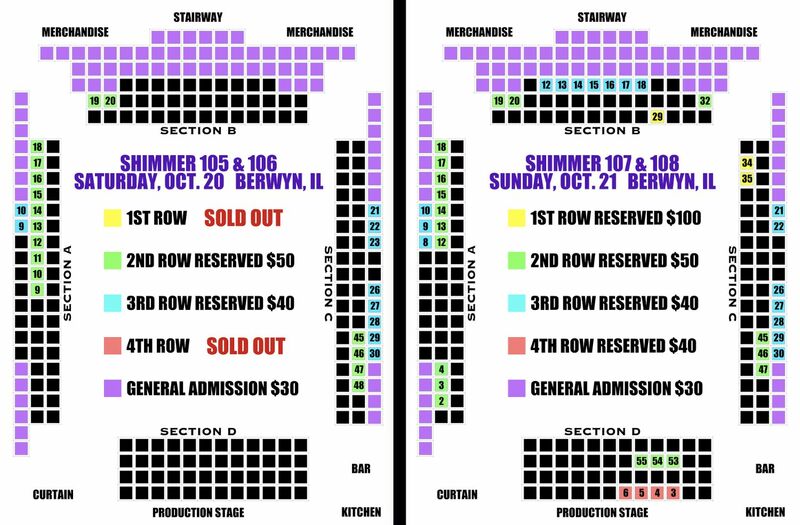 SHIMMER 107 and 108 are on Sunday, October 21st. Bell time is Noon Central. Over 35 of the top female professional wrestlers from around the world will be a part of the two days of tapings, with two full length events worth of live matches each day! Though the events are over three weeks away, the reserved seating for the weekend is already dwindling! Just 26 reserved seats are still available for Saturday, October 20th. Only 3 front row seats are left for Sunday, October 21st. Grab the seats you're interested i while they last! Specific reserved seats can be requested by E-mailing shimmernews@yahoo.com when you place your order. 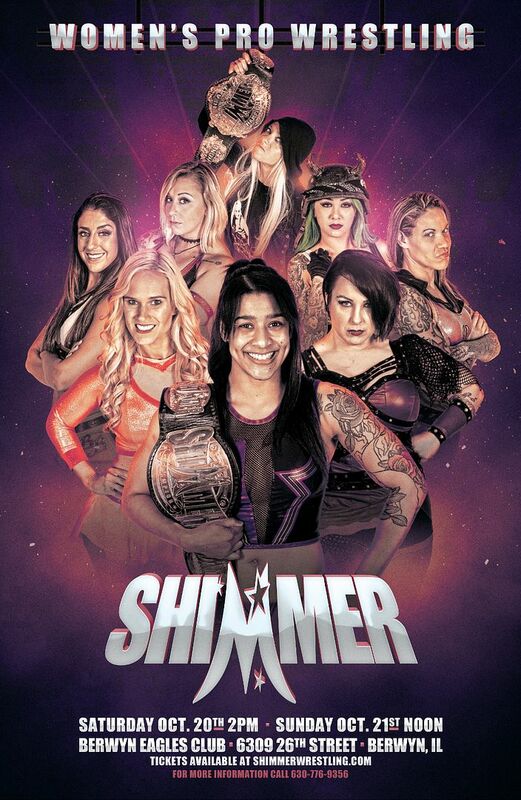 Visit www.shimmerwrestling.com/p/tickets.html to order SHIMMER 105-108 tickets. In addition to the SHIMMER events that weekend, RISE 10 will take place on Friday night, October 19th. Visit www.rise-wrestling.com for RISE 10 tickets. 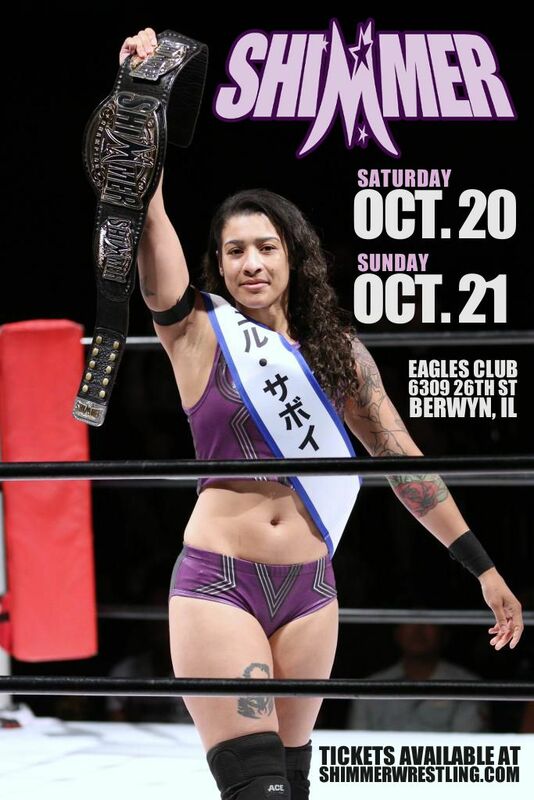 Mark your calendars, and make your plans to join us live in October for three consecutive days of women's pro wrestling in Berwyn!